Software Development is the core of any company. Any enterprise, new or old; small, medium-sized or large, every business enterprise needs software solutions to increase their output results. We at Synergy Infosolutions provide diverse solutions for all your queries. These software solutions help you to manage your resources, perform various business functions and increase the efficiency and accuracy of your output. We at Synergy Infosolutions have developed an ERP(Enterprise Resource Planning) software which helps the new and mid-sized enterprises to run their business more smoothly. This software helps them make the transactions in an easier manner. This ERP software provides personalized ERP solutions based on the requirements of the enterprise. 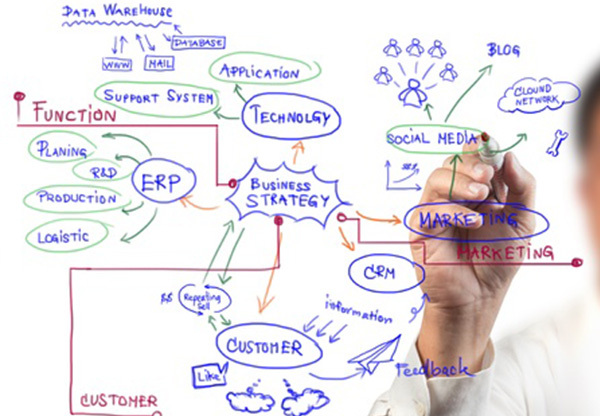 ERP software provides resource optimizing solutions through well-managed business processes. It improves the flow of information in the organization and hence increases the pace of work. ERP software facilitates the management of activities at various sub-divisions. It gives a company an edge over the other companies. Customer Relationship Management Software is a tool which provides complete solutions which allow your organization in its expansion by maintaining the data of its customers in an effective way. It encapsulates all the pre-sale and posts sale force dealings of the customers. We at Synergy Infosolutions have created CRM software that enables an enterprise to maintain an amiable, and cordial bond with its customers.